Darleen Rose Renz (née Wapple), beloved mother of Tammy Renz, passed away peacefully at her home in Rosetown, SK on January 19, 2019 after a heroic six-year battle with cancer. Darleen was born on September 24, 1937 to Fred and Olive Wapple of Sherridon, MB. Darleen was the fifth of eight children. The family moved to the Kindersley, SK area in 1943. Darleen attended elementary school at Clover Hill until grade six and then Mackenzie High School in Kindersley, graduating in 1956. After graduation, Darleen was employed at the Bank of Commerce in Kindersley. On July 11, 1958, Darleen married Art Renz and they made their home on the farm at Glidden, SK. In 1962, Darleen and Art sold the Glidden farm and moved their farming operation to Milden, SK. The family would be completed when they adopted twins, Tammy and Tim at three months old in 1963. Darleen worked alongside Art on the family farm while raising Tim and Tammy. She also had off-farm employment at the Rosetown Coop and the Wheatbelt Centennial Lodge. Darleen was always quick with a smile and had the most brilliant twinkle in her eye. Waiting to welcome her Home are her husband Art Renz, her son Tim Renz, parents Fred and Olive Wapple, brothers Fred, Pat and Mel Wapple, sister Patricia Hertz and special friend Maureen Humble. Left to lovingly cherish her memory is her devoted daughter Tammy Renz, brothers Arnold Wapple, Johnny (Sandra) Wapple, sister Sharon (Dan) Roberts and in-laws Nick Hertz and Freida Wapple. 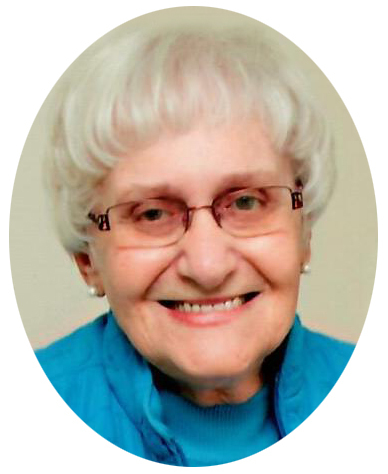 A Celebration of Darleen’s Life was held Saturday, January 26, 2019 at 2:00 p.m. CST at Shanidar Funeral Chapel, 510 Young Street, Rosetown, SK with Pastor Dan Esau officiating. In lieu of flowers, donations in memory of Darleen may be made to the charity of your choice.